It’s heart-warming to see a brand respond to customer feedback, particularly when it leads to creation of even better product. Ellis Faas, a make-up artist and founder of synonymous make-up brand, strives to move with the times and offer women (and men) the products that are modern, innovative and dare I say it, cool? With party season in full swing, we want our make-up to stay put, not slide like our legs over the dance floor. First into the spotlight, a compact powder with a difference. Ellis devised Glow Down, a light powder that acts as an invisible mattifier, helping perfect the skin tone, whether you have a light, medium or dark complexion. When applied on top of your usual make-up, it will help set it with a porcelain-like matt finish, adding warmth to the appearance of the skin. Unlike many traditional products, the innovative formula will also enhance the complexion without adding coverage or actual colour – making it a good addition to the make-up kit. It can also be used as a primer underneath your eyeshadow or lipstick and help absorb unwanted oils that can lead to the ‘shiny’ face look we all want to avoid, in real life and in our photos. Not only that, Glow Down, a vegan and cruelty-free product, was formulated with vitamin E, amino acids, omega 3 oils, ginger root, galangal and rapeseed oil, which together help rejuvenate the skin and protect it with a unique Anti-pollution complex. 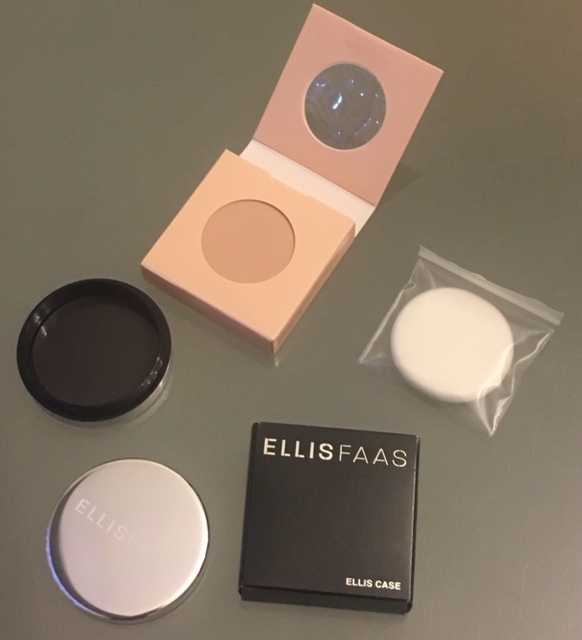 It comes in a practical packaging, with a powder sponge and all you have to do is insert it into Ellis Faas case, which has a mirror in its lid and you are good to go. I prefer applying it with a powder brush, but if make-up needs to be re-applied or corrected between meetings on the go, the sponge does the job perfectly – just don’t forget to give it a wash with a gentle soap once a week and let it dry before putting it back into the compact. Light, practical and hard-working product that will make your finished make-up look effortless ! 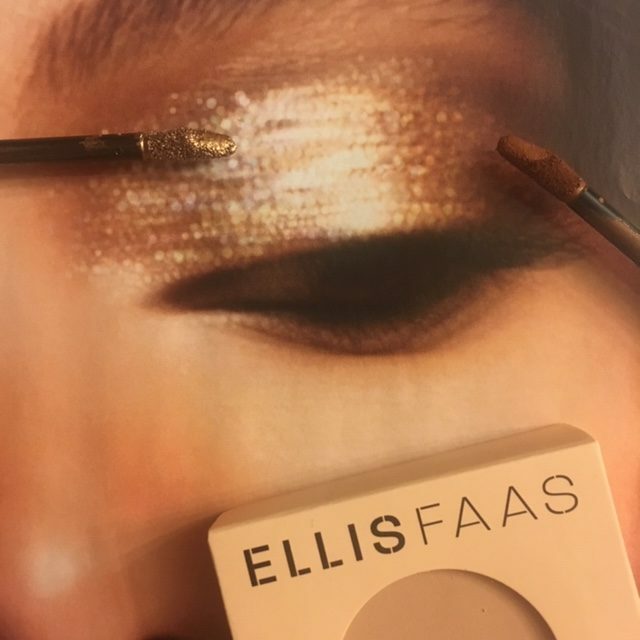 At the same time that Ellis launched Glow Down, she has updated or rather improved the packaging of her Creamy Eyes & Lights eyeshadows, so what used to be a clicker dispenser, that at times got clogged & simply refused to dispense the product in the ‘orderly’ manner, is now a wand. Easy does it: turn the cap, pull out the wand, apply! Creamy Eyes are ideal for a quick smoky eye, allowing you to correct mistakes or ‘lighten’ the shade before it dries up. And thanks to the precise tip of the new applicator, you can now use Creamy Eyes as a thick eye pencil. Just untwist the pointy top and extend out the spongy wand that flows easily over your lid and ensures precise application. 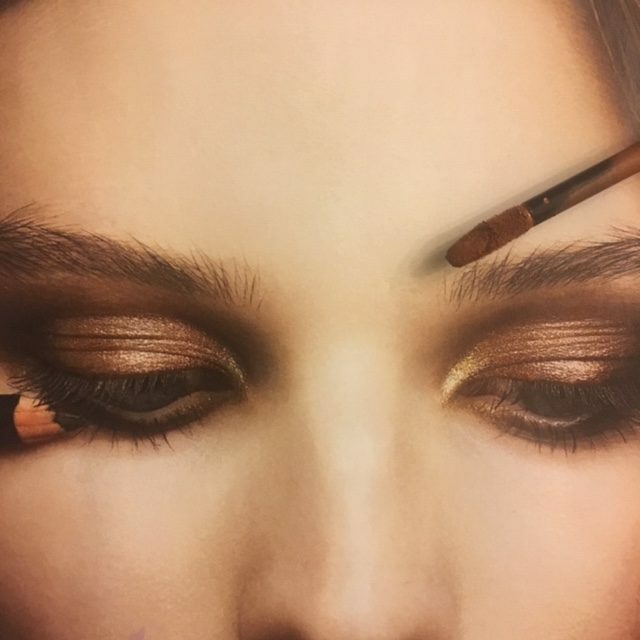 I got to eye test the ‘Creamy Eyes’ in shade E127, which is a matt brown that would work wonderfully on any eye shade and can easily take your from day to night time. It’s a creamy product, so you can spread it with the finger all over your lid, lightening the colour up a little, if you so wish. My particular appreciation though goes to the Ellis Lights highlighter. I tested the E303 shade and was quite impressed after just one use. A bronzy gold that might be possibly meant for the evening make-up look, yet I love wearing it during the day because it makes me feel very glam. It sets within minutes and looks fresh and bright, reminding me of the vivid make-up shades I see in Pat McGrath’s feed. In fact it ‘sets’ so well, you will need a creamy cleanser to take it off, but it guarantees staying power, without making your eyes feel dry. You can use Lights to create an illusion of metallic eyes, if applied topically. Or apply it all over your eyelid – subdued or with artistic flair, if you dare. Either way you will look like lightening – striking and memorable! 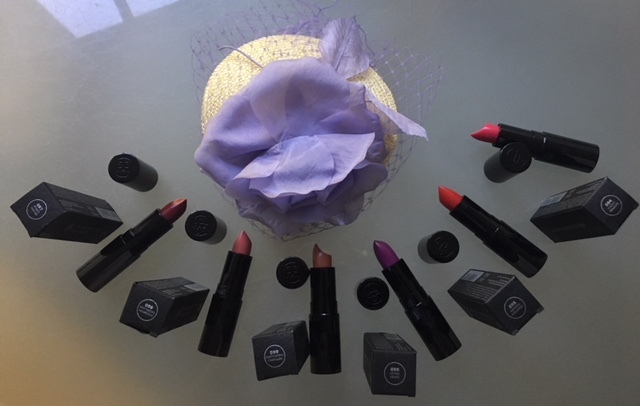 I wouldn’t exactly call myself a lipstick addict, but I do like using them to help create a mood or enhance a fashion look of the day. 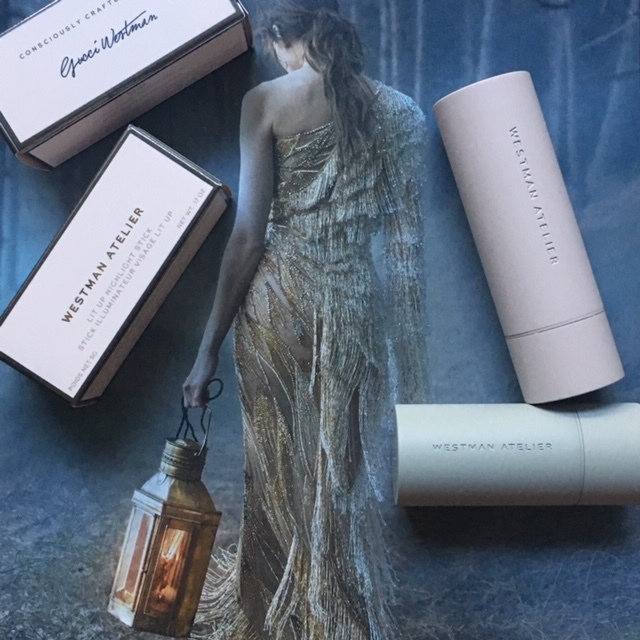 When a brand launches lip balms that look and feel like lipsticks and have poetic inspirations and secret Victorian times messages behind them, I get intrigued. Welcome to the spotlight – Rouge Bunny Rouge Tinted Luxe Balms. 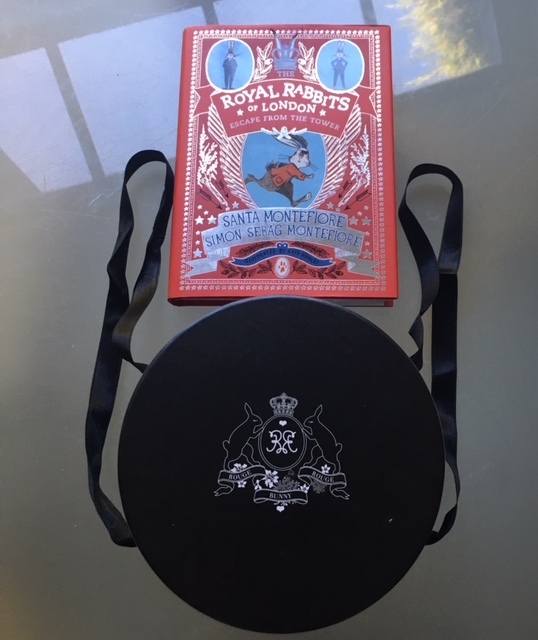 When a beautiful parcel that looked like a hat box arrived a couple of weeks ago, I was as enchanted, as my little girl – we almost had an argument about who was going to open it first. 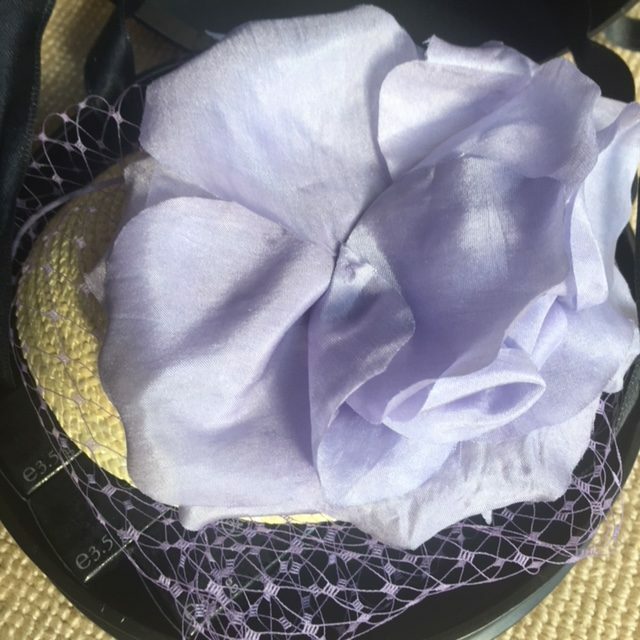 When I opened the box, finding inside a chic fascinator and six RBR Enchanting Blooms underneath, I instantly switched from sporty to flirty mood. I did my hair, attached the fascinator and started playing with the colours. Some conservatively subtle, others striking or daringly bohemian – I think there is something for every woman to be transfixed. Each of the six shades is lightweight, non-sticky and fairly long-lasting, but with a difference – as time goes by after initial application, it slowly fades away, if not reapplied, giving way to a subtle, flattering tint that enhances your lips without being obvious. Not exactly barefaced beauty, but neither is it overtly obvious (depending on the shade you go for). 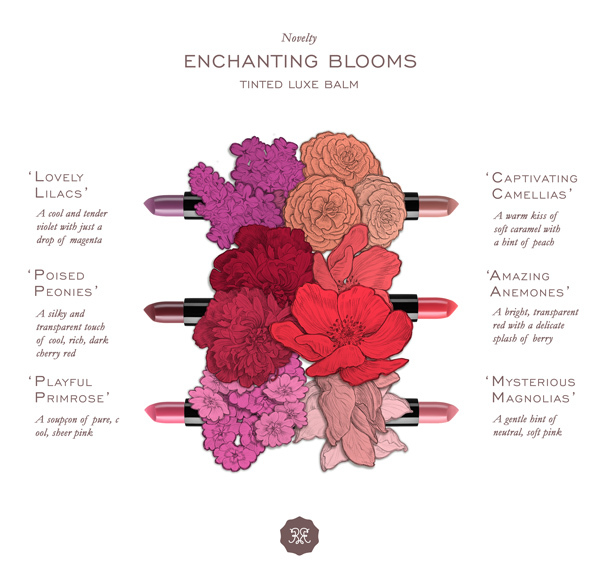 Each balm promises to hydrate, plump and repair delicate skin on the lips and has an understated sweet, flowery scent. The shape of the balm is ‘cut’ in such a way, that it glides easily along the lip contour, without you needing to be too precise or eagle-eyes. Something that is very welcome when the head and eyesight might be blurry in the morning and needing a shot of expresso to properly kick you up a gear. We live in the times when receiving often overtakes one’s desire to give and that’s why focussing on charities that deserve our support is not only done by people, but brands too, as they choose to take certain initiatives under their wing and nurture and support them. I thought that I would spotlight team’s Ellis Faas initiative for the charity called War Child. Just like makeup, life in general should be based on freedom: freedom to be who you are, freedom to show the world who you are – without boundaries or rules and most certainly without being condemned, hated or prosecuted for being yourself. This message feels particularly poignant after the results of the EU Referendum in the UK last week. Every day we are confronted by the volatile times we live in, filled with disrespect and downright hatred. That is why we have to make a stand. We can’t just look into the mirror and hide behind our make up. For team ELLIS FAAS, Make Up Not War is not a political, let alone a cosmetic plea. It is a call for humanity. We all have to look at ourselves to see how we can play our part in making this world a better place. And in order to break the negative chain of hate and war, the brand feels particularly inclined to take care of the children who fall victim to the conflicts in this world, and to prevent them from falling into a vicious circle. When I first got my hands on this make-up brushes set, aptly titled It’s All About The Brushes, designed by make-up artist Caroline James for my wonderfully creative and inspirational friend Georgina Jones, founder of Bathing Beauty line of skincare products, I knew that I was holding something truly unique, born out of passion and striving for perfection of two very accomplished and talented women, in my hands. After 18 months of design, Georgina and Caroline launched it a few months ago, during the trade show in Olympia, doing it with pride but immense modesty as well. 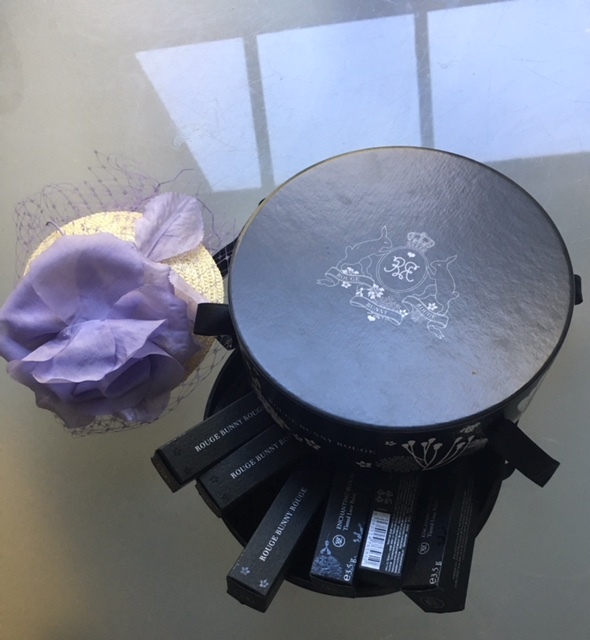 And since that moment on, I have rediscovered the joy of applying my make-up not just with my fingers but with professional brushes, guided by a wonderful expert, whose instructions are printed on the box. But why don’t I let Caroline tell you all about it, in her own words?! ”Amazingly, despite modelling in Milan, Paris and London for eight years, Bathing Beauty founder George Jones and myself had never met, that is until we moved to North Wales! It was on the Osteopathic Table, at George’s Clinic, during a treatment session, that we discovered our mutual past. George had been considering a range of makeup brushes, determined to make them cruelty free and vegan in line with Bathing Beauty’s founding principles. However, she realised she was lacking the technical expertise. 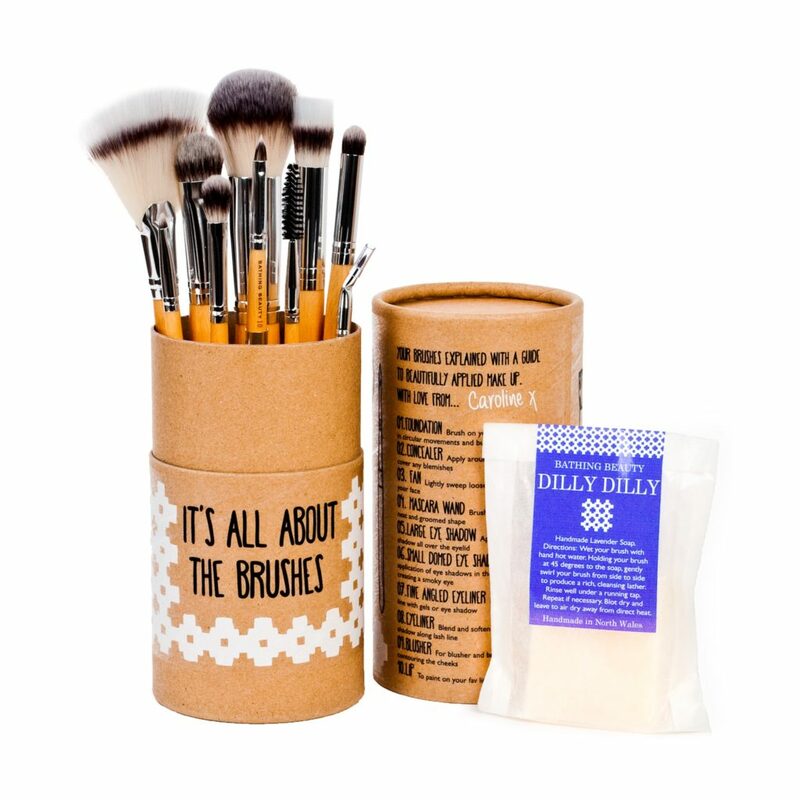 I was also looking to design my very own range of brushes and happened to start talking about them. This was a collaboration waiting to happen ! I did my training over 20 years ago at Greasepaints, a highly acclaimed School of Makeup in London and then embarked on a career from which I have never looked back. Having achieved international success in a job which is challenging, demanding and incredibly rewarding, I had the pleasure of working with some of the music industry’s most influential artists, Hollywood stars and TV and sports personalities, like Paul McCartney, Minnie Driver, Caro Emerald, Marianne Faithful, Danii Minogue, Alice Cooper, Sir Tom Jones, Steps and SClub 7. From the bright lights of Las Vegas to the bottom of the North Sea in a gas rig, I have taken on many challenges and had some incredible experiences, whilst doing a job I love and which enables me to show off my enthusiasm and creative flare with Makeup. A Makeup Artist’s life is never dull! For most of us make-up is part of our every day life but pause and consider it as an art form for a moment, the way many make-up artist approach it. There is so much inspiration behind it, so many cultural references and history. 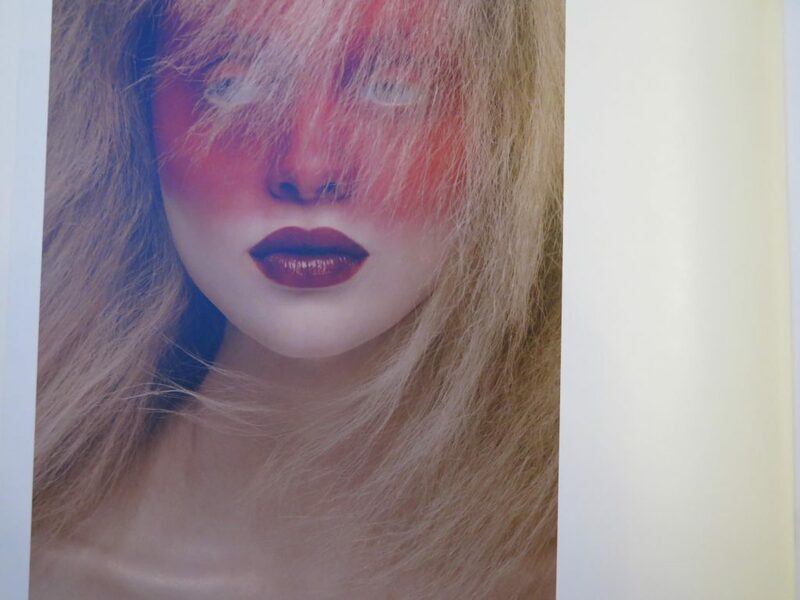 When I recently received a copy of the new book ‘On the edge of beauty’ by renowned make-up artist ELLIS FAAS I knew that I would find a vibrant feast of colour and imagination, having met her before and seen her at work. Ellis is passionate about many things and constantly draws inspiration from around herself, pushing her imagination further and creating new frontiers. ‘On the edge of beauty’ is a book showcasing the looks that many of us won’t dare to wear but they would always make an impact on the club scene or the catwalk, where the creative power forces are more daring by nature. When I first tried Ellis’s make up I wondered about the shape of her products ( to this day I remain impressed by their sleekness ) but it seems that there is a perfectly logical explanation. The products look and feel like a pen in your hand and I feel comfort when I hold one ( call me old-fashioned but on most occasions I prefer a pen to typing on my computer when it comes to personal sentiments ). When I use Ellis’s concealer or foundation or apply my lip colour I feel almost like a painter but a make-up artist Joseph Esturo makes a very compelling case in the video below for giving it a go and using your make-up to crate beautiful canvases on paper, indulging your creativity and nurturing an artistic side, while enjoying the moment of quite reflection. Like Brooke Shileds I have strongly defined eyebrows ( but luckily not as strong as Leonid Brezhnev’s ) and lessons taught by the threading queen Vaishaly Patel continue to serve me well. But what if you want to defy your eyebrows and eyes but don’t know where to start? 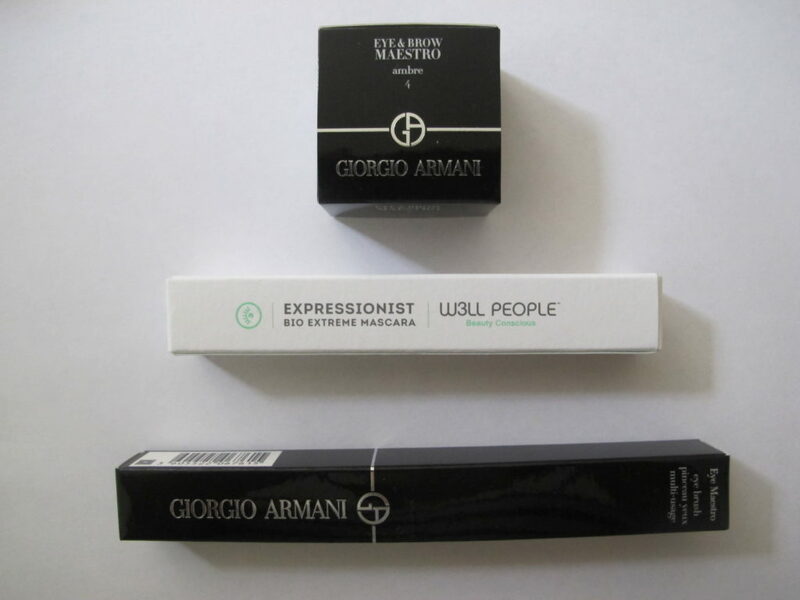 Luckily, Armani & W3LL People‘s recent launches will give you a helping hand-just make sure yours is a steady one! I haven’t had the pleasure of meeting Mr. Armani in person yet but know from a few people who work for him that even though he is in his 80s, he still keeps a sharp eye on everything going on in his empire, including developments within his beauty line that has been gaining fans steadily pretty much from the moment it was launched. His beauty products are practical, on-trend yet timeless and they make you look like the best, polished version of yourself without being overdone. 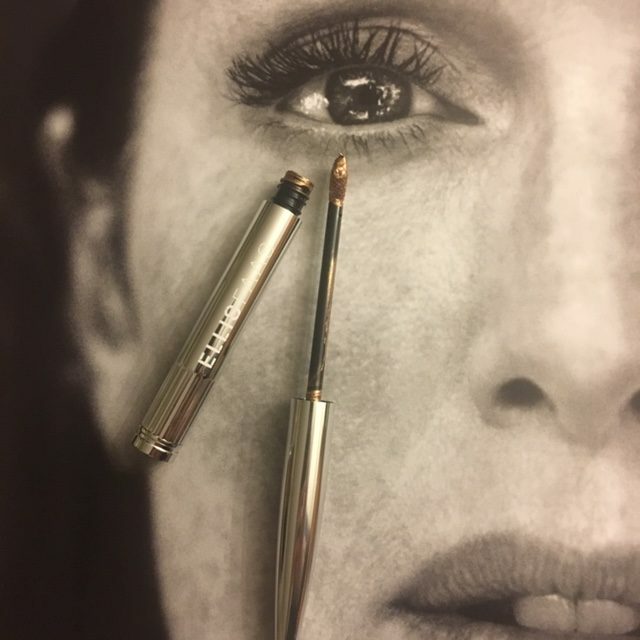 Armani Eye & Brow maestro is a product that you will like simply because it will help you make your eyebrows, as well as eyes, look beautiful. All you need is just one pot and a brush. My mini make-up lesson was guided by one of Armani make-up artists working at the Selfridges counter, whose advice I value as she knows what colours suit me and never does a hard sell. 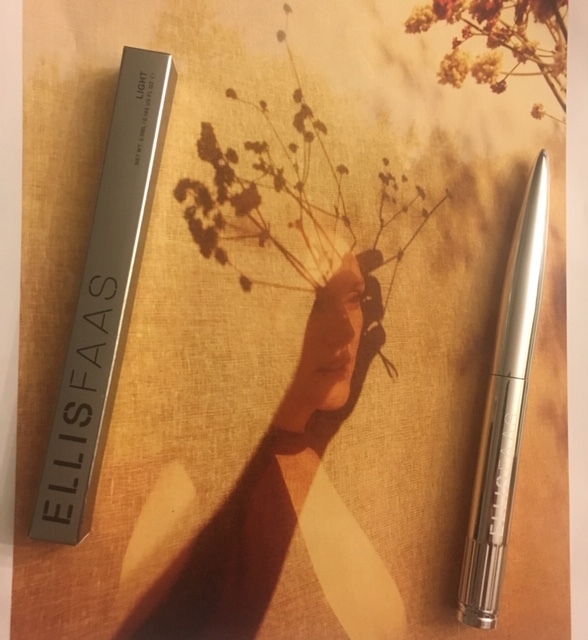 As Valentine’s Day is fast approaching, instead of offering you some gift ideas-after all, you know your loved one much better than I do, I thought I would share a charming beauty tutorial from Ellis Faas team. Ellis created this video in collaboration with the aptly titled I LOVE YOU magazine and it shows you how to have fun with make-up and create the look that would be as unique as you are. So instead of breaking the bank or buying something that might be put away in the drawer as soon as Valentine’s day is over, play with your make-up, create a look that makes you feel like the most beautiful version of yourself and have a great day celebrating love that makes the world a better, kinder, more exciting place to live in.